In a universe where young bands are hell bent on screaming their idiosyncratic prophecies to an overly saturated and usually uninterested audience, the Plain White T’s seem to have emerged from a different angle. Tom Higgenson, Dave Tirio, Mike Retondo, De’ Mar Hamilton and Tim Lopez are the lads from Illinois that make up the band whose chosen attire may seem dull, but has so far managed to aid them in climbing the musical charts worldwide and be nominated for a couple of Grammy Awards. 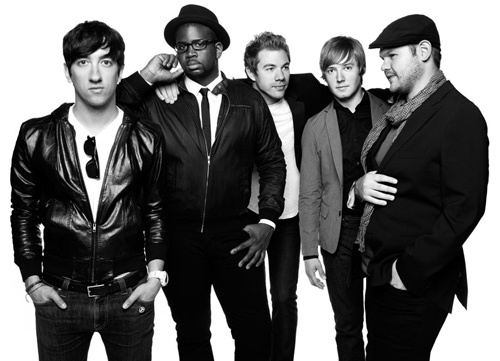 The Plain White T’s have released their third album, the first with a major label, and it is entitled, ‘Every Second Counts’. A handful of tracks have been re- released on this album, including the sensational hit track, Hey there Delilah. This track was sitting pretty in the charts, having reached number 1 in the US, Canada and Germany, as well as top 5 in Australia, UK, Belgium, Ireland and Austria. Yet, it seems to sit well outside the musical genre of a majority of the songs from ’Every Second Counts’. Hey There Delilah is folksy, whilst the remainder of Plain White T’s tracks truly exhale a punk/ rock breath. The overall theme exemplifies the heart- wrenching angst of teenage love and the dilemmas of relationships, with sympathising lyrics and extremely catchy melodies. Yet, there shines a certain lack of maturity within the constant rhyming lyrics. However, this does not fatally detract from the earnestness of the songs. There is the anthemic track, Our Time Now, which displays the groups vigour at embracing life, alongside catchy love songs like Come Back To Me, You & Me, Making A Memory and Let Me Take You There. Remainder of the tracks are lively and spirited and exhibit the band’s ostensible mantra of making the personal universal. The Deluxe Tour Edition of ‘Every Second Counts’ also contains a DVD of the band’s concert at Metro, the club lead singer Higgenson used to frequent as a youngster back in his home of Illinois.